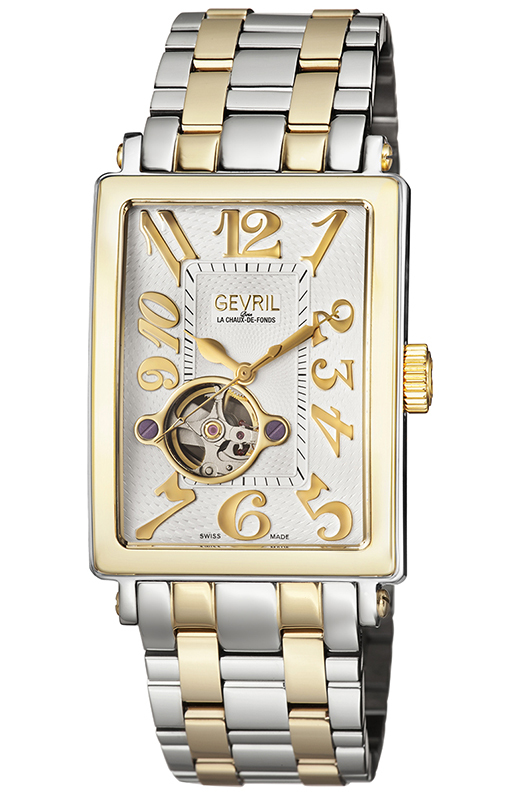 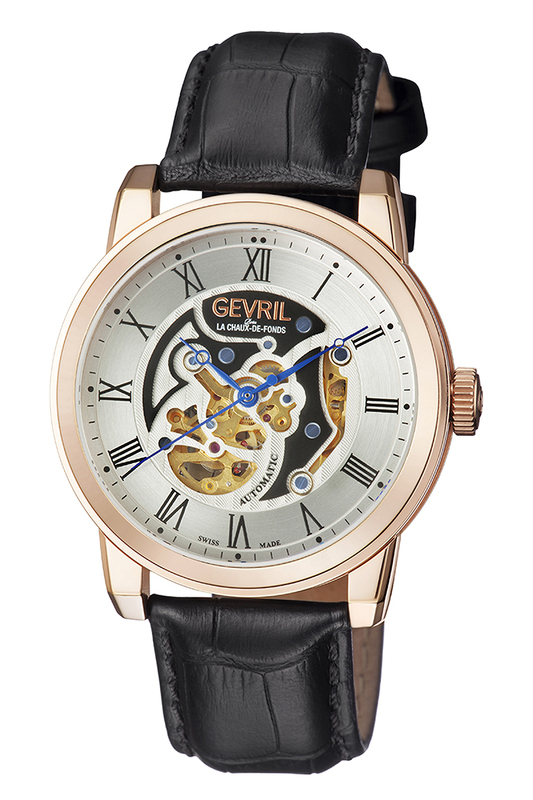 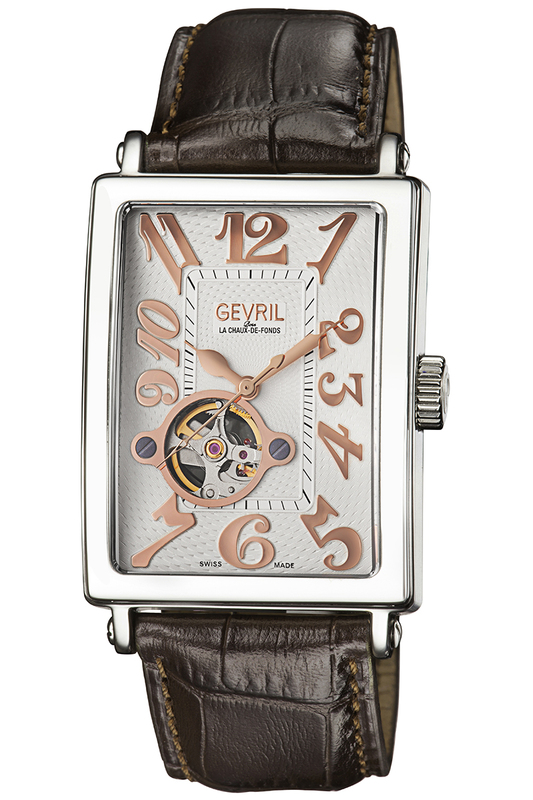 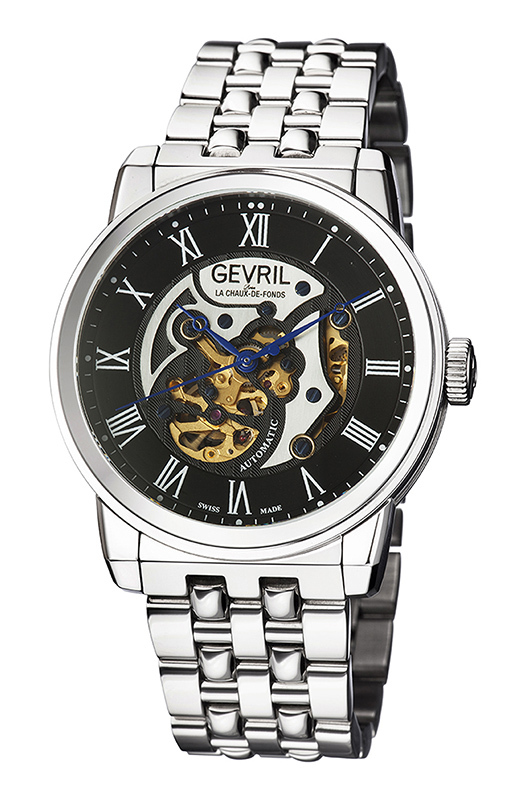 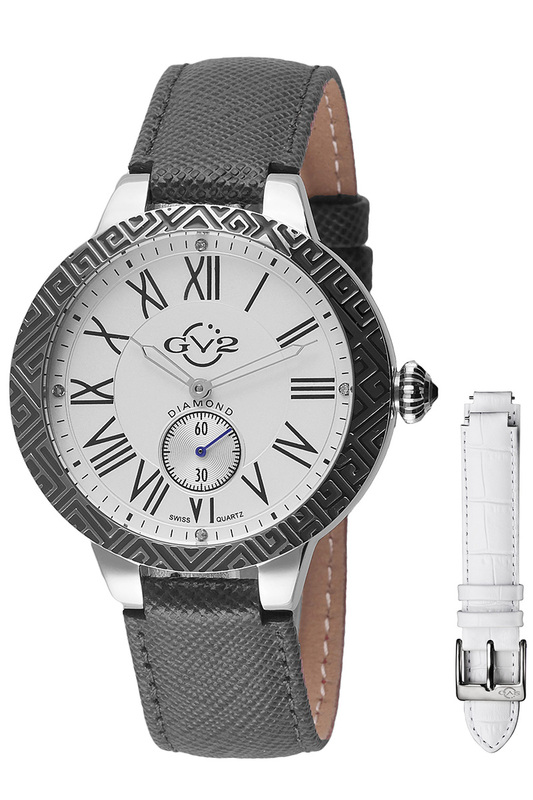 America’s first multi-millionaire provided the inspiration for this tastefully sophisticated GV2 timepiece. 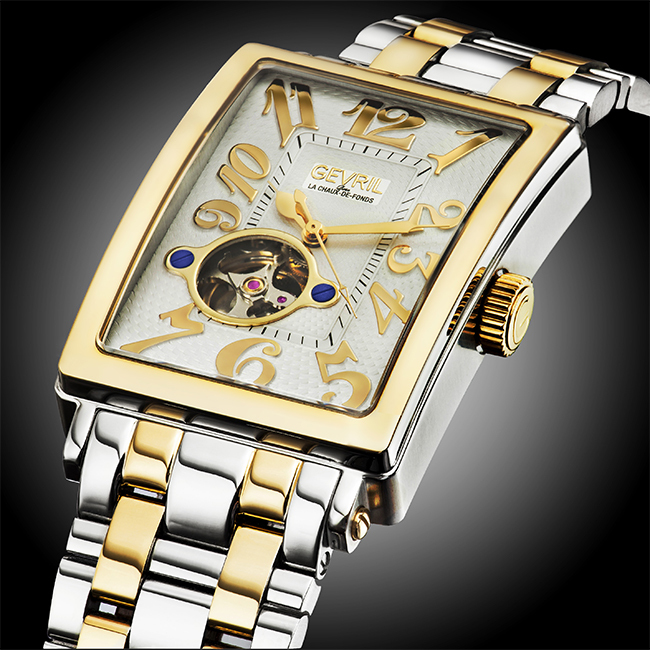 Starting from humble beginnings, John Jacob Astor immigrated to the United States in 1784 where he became a successful and wealthy fur trader. 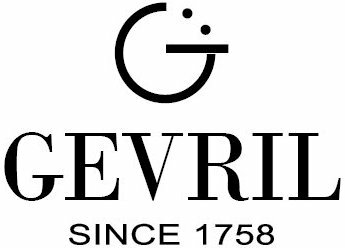 He was one of the first to foresee the rapid growth of New York City and systematically began buying Manhattan real estate. 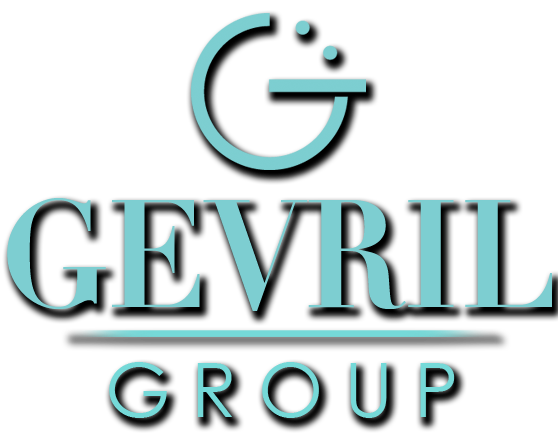 His success as a real estate developer allowed him to become a famed patron of the arts and the first multi-millionaire in United States history. This remarkable American success story provides the inspiration for one of GV2’s most remarkable timepieces. 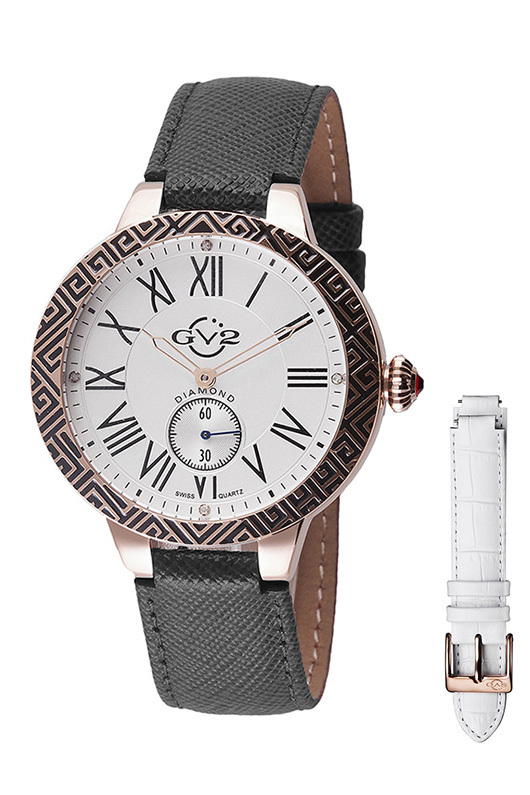 The refined lines of the sophisticated GV2 Astor Enamel are a tribute to Astor’s influence in the world or art and culture. 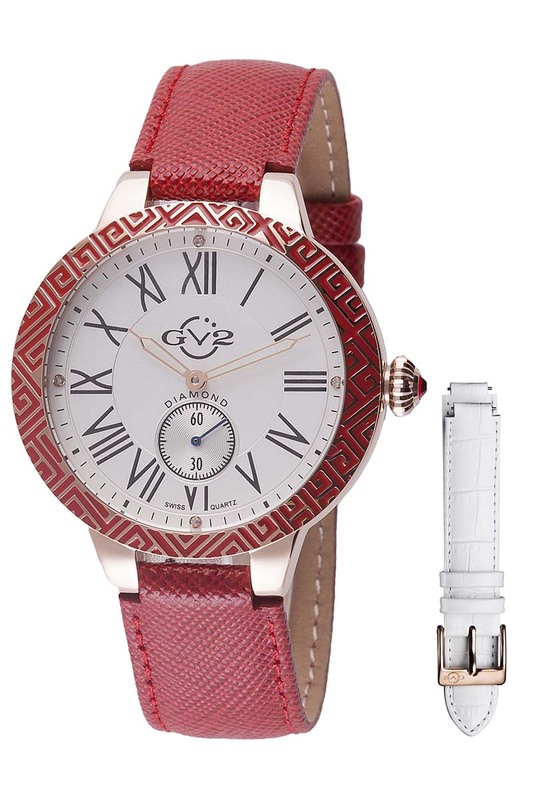 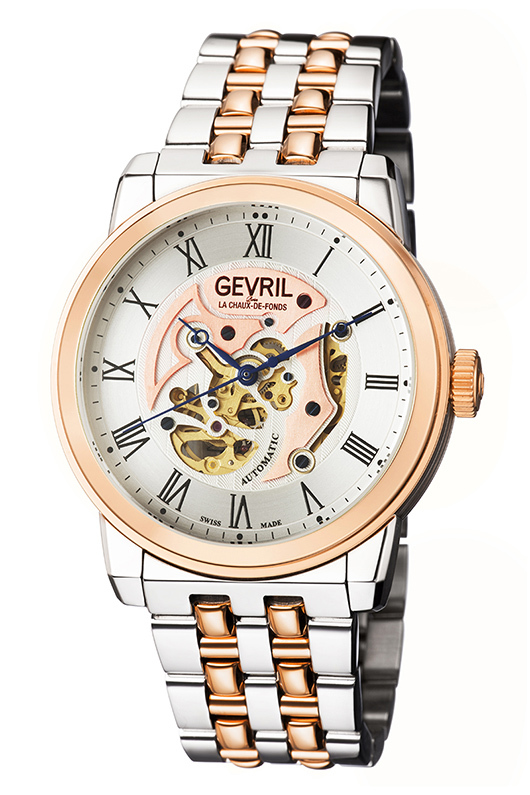 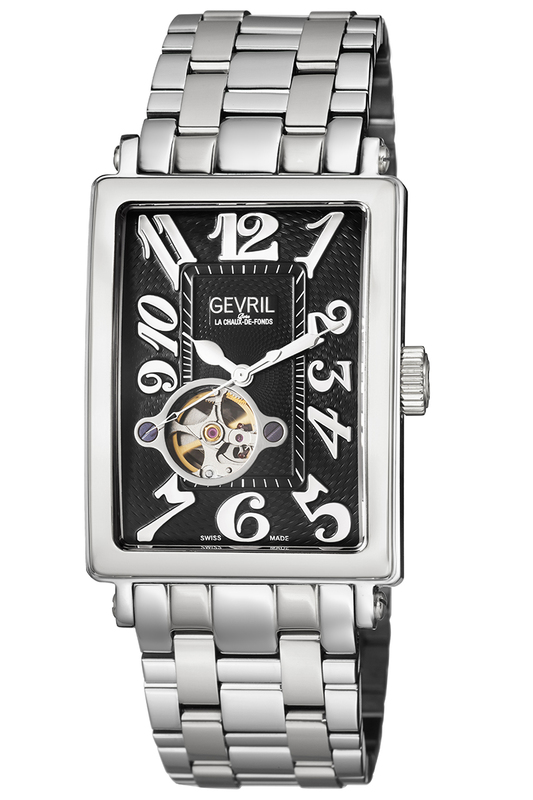 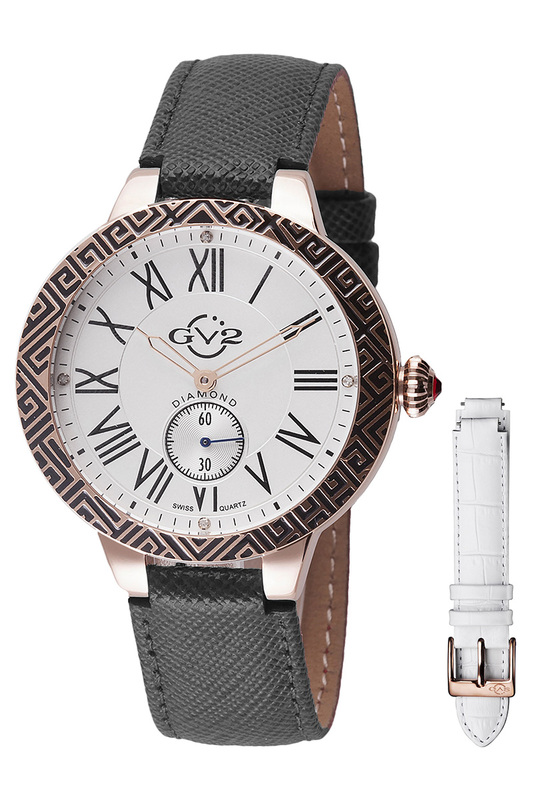 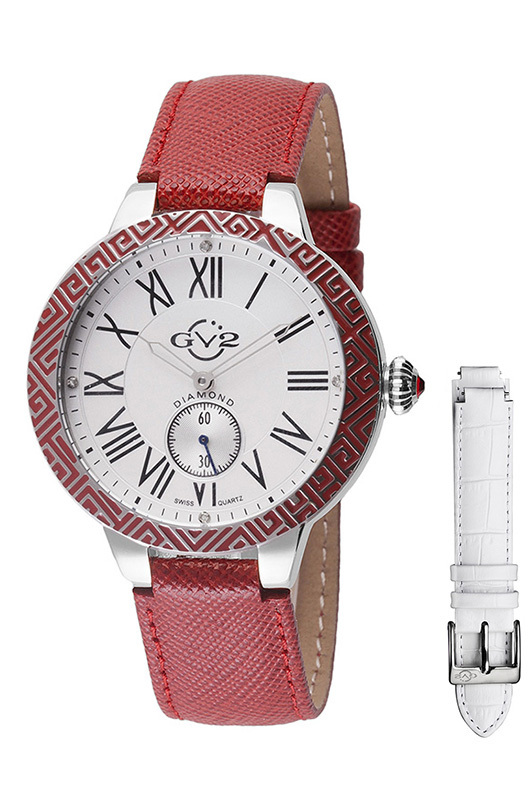 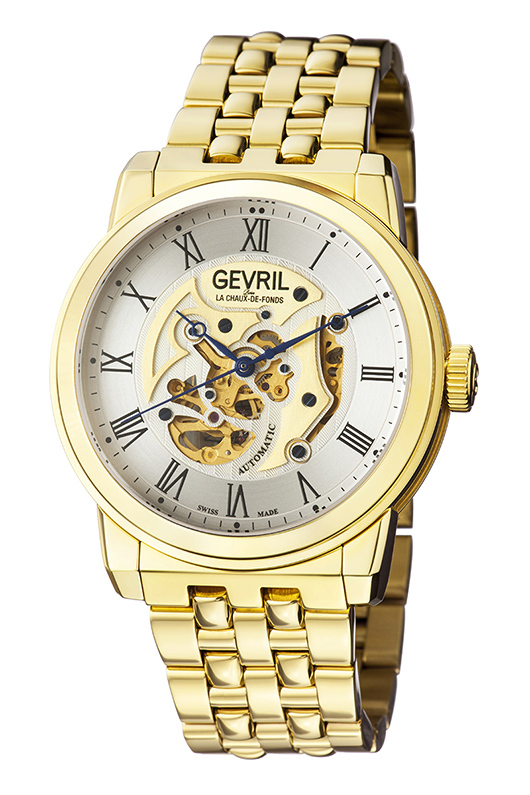 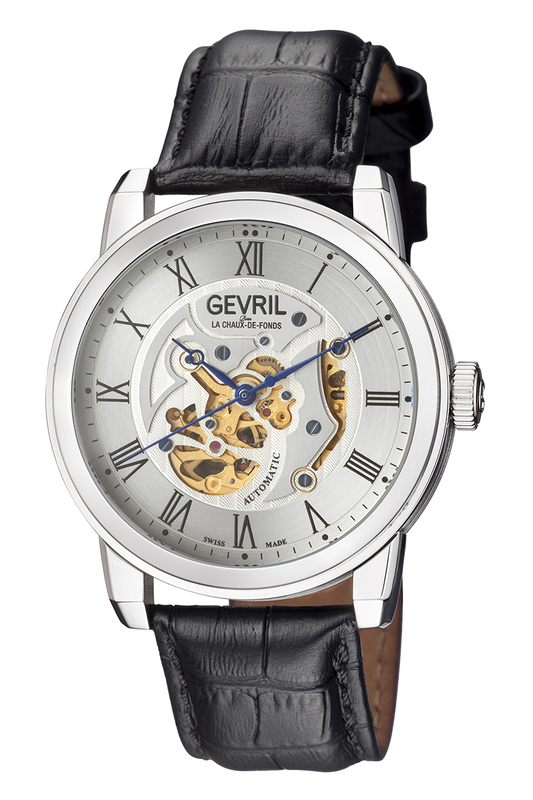 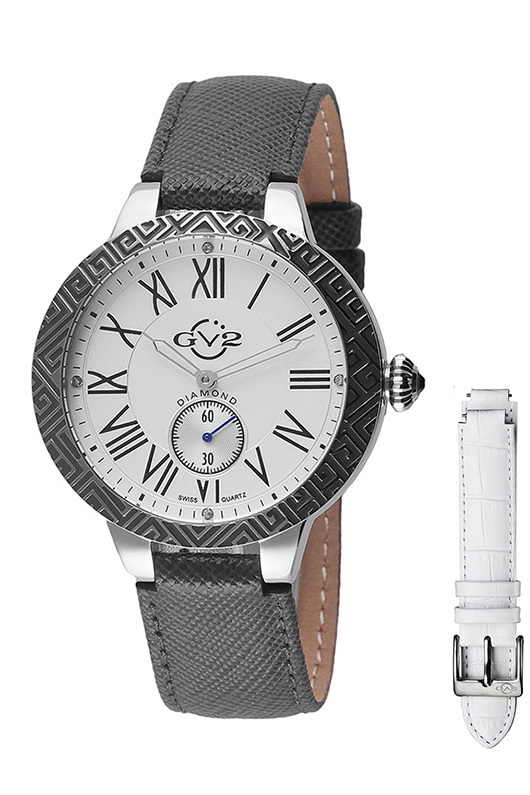 This remarkable addition to the popular GV2 Astor line provides an ideal way to accessorize this season’s latest styles. 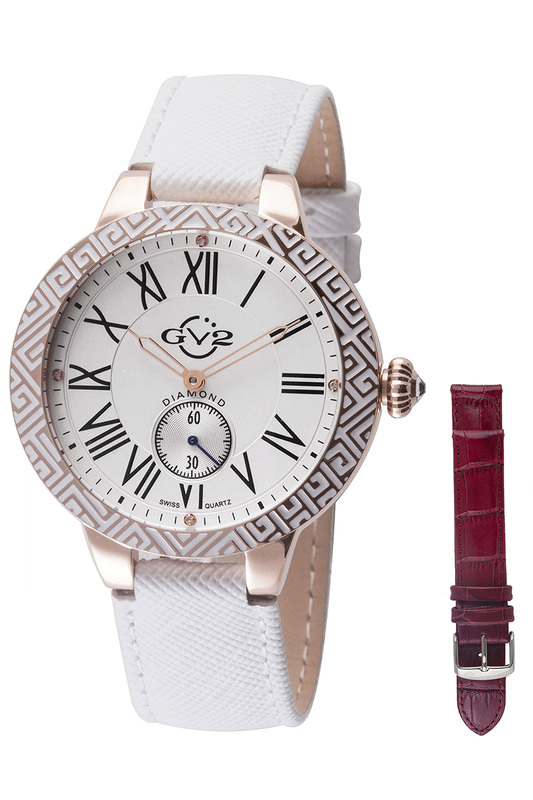 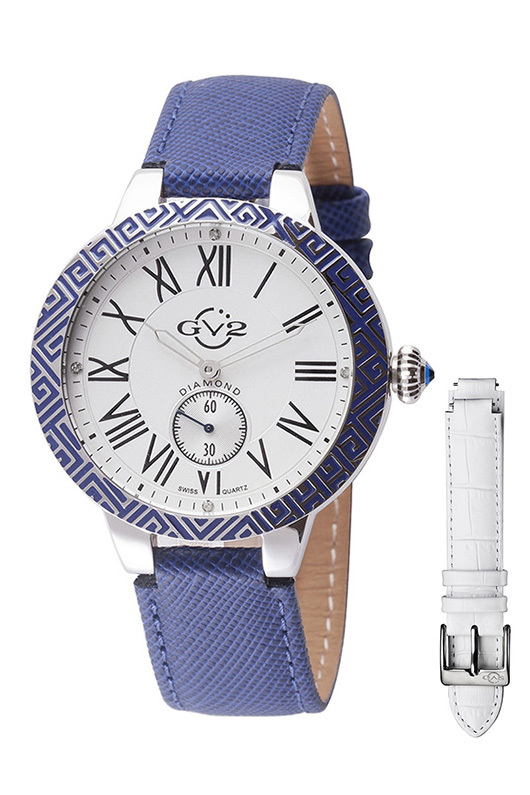 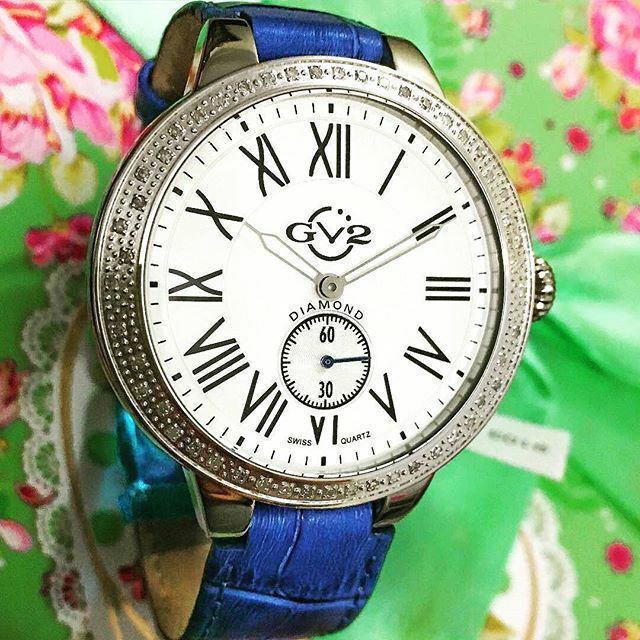 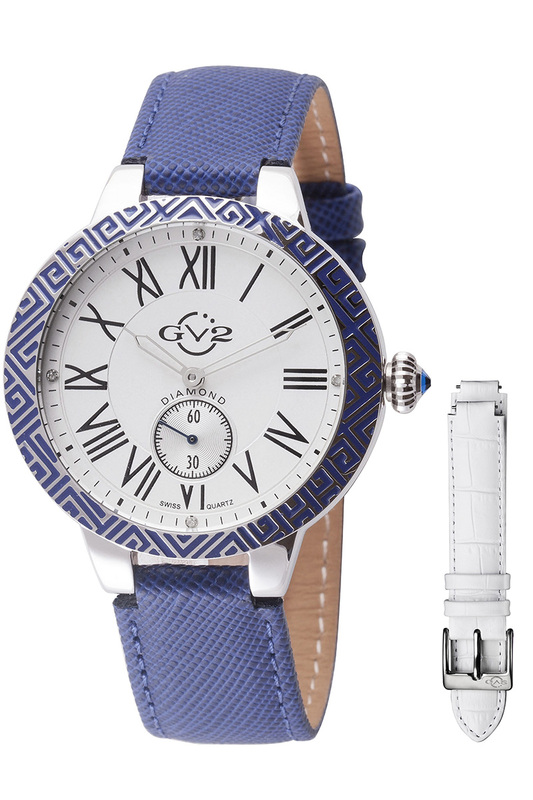 The exquisite 40 mm women’s timepiece features a beautiful Cloisonné enameled bezel encircling a classic white dial with large applied Roman numbers and a free running sub-seconds display at 6 o’clock. 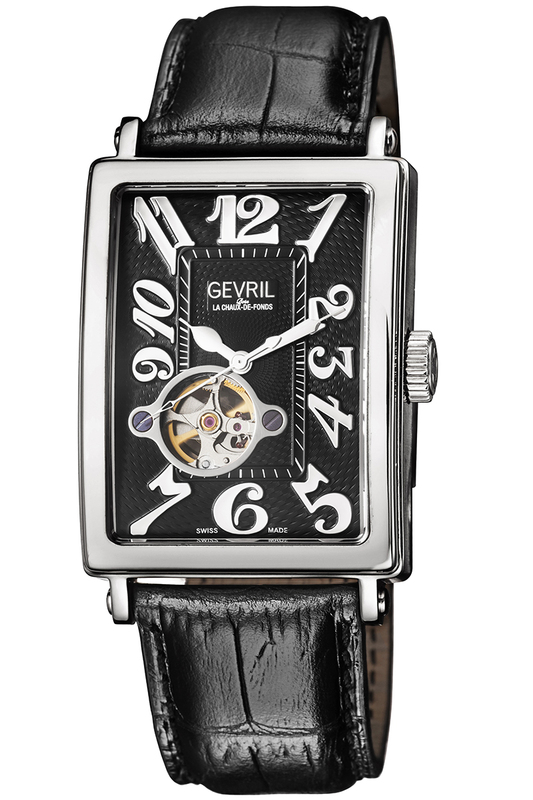 The inspired three-hand configuration is embellished with four brilliant diamonds as indices along with a setting crown that has been capped with a precious cabochon. 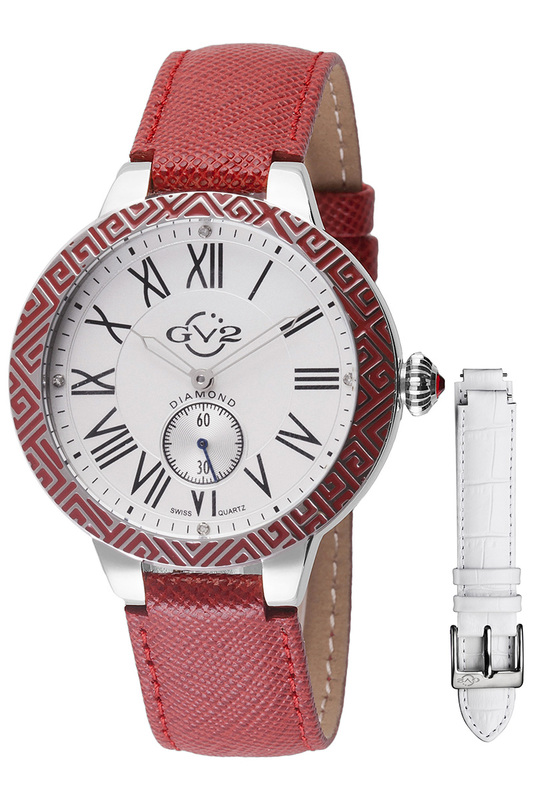 The GV2 Astor Enamel is available in seven limited editions with a choice of red, blue or black enamelwork. 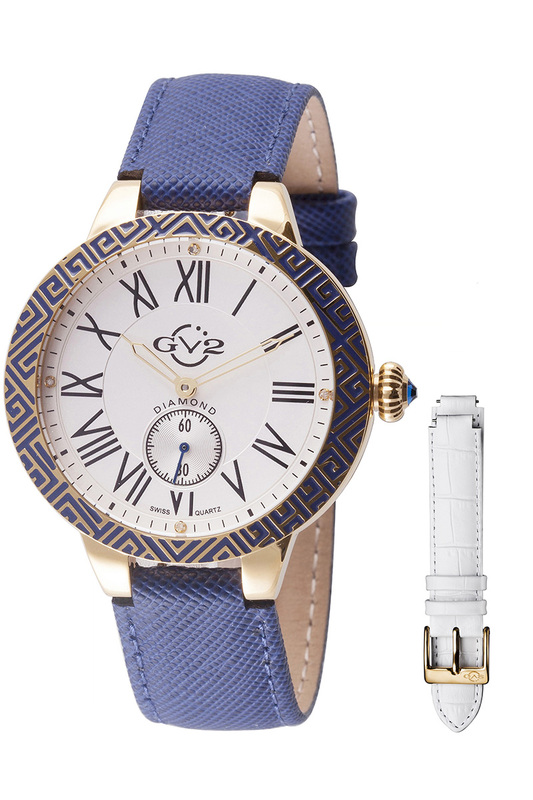 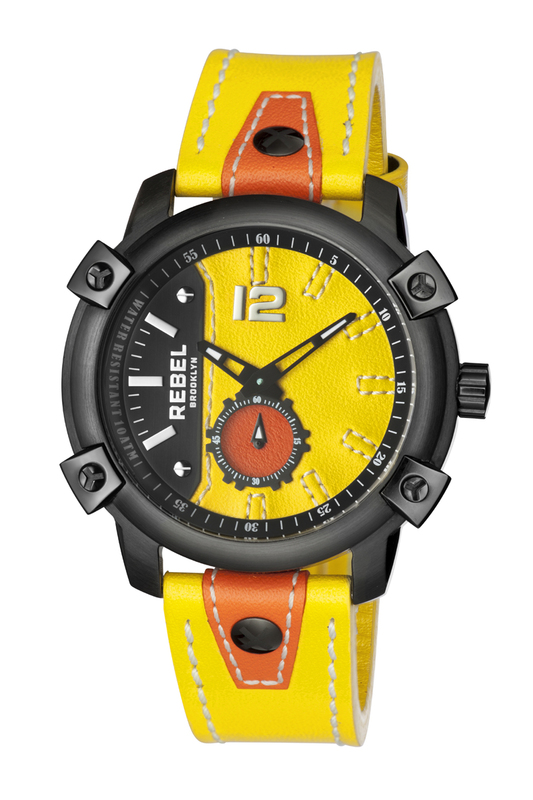 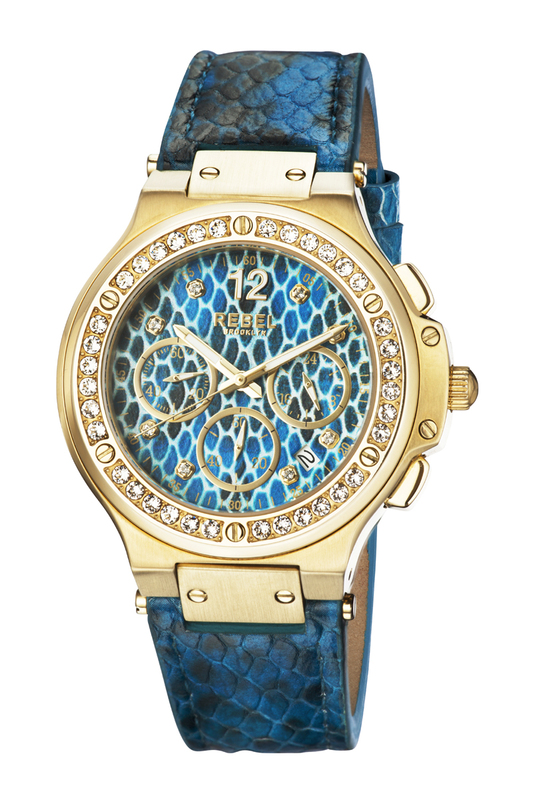 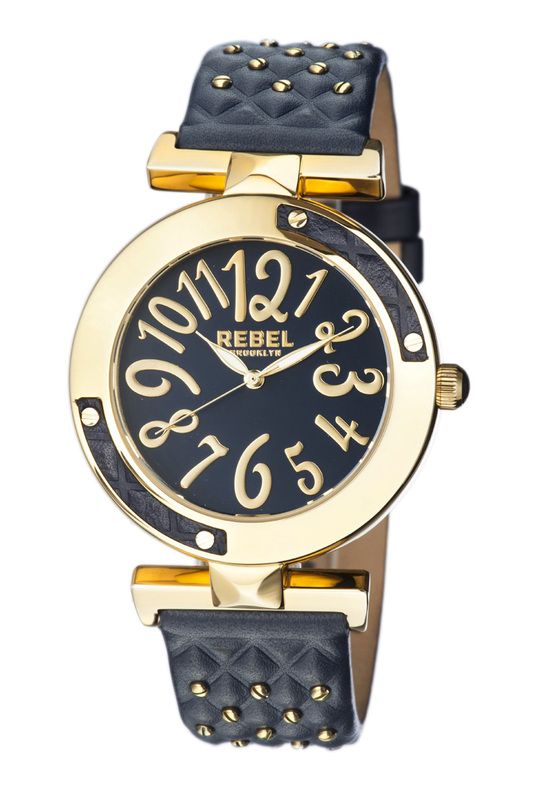 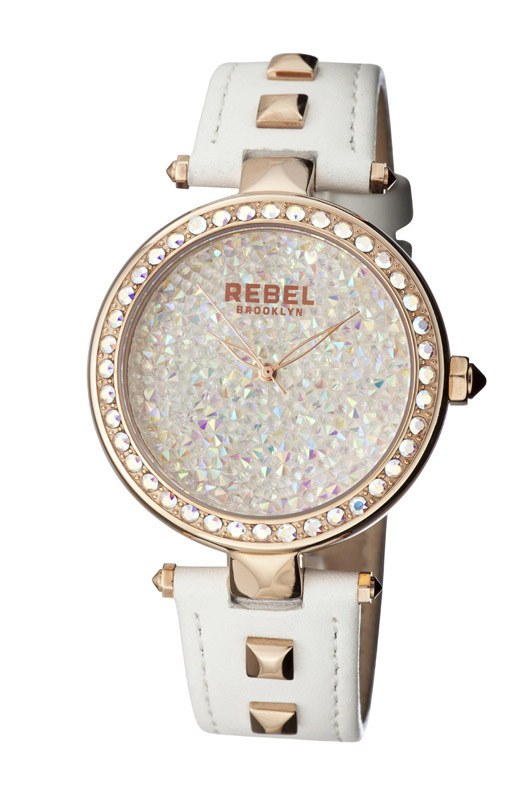 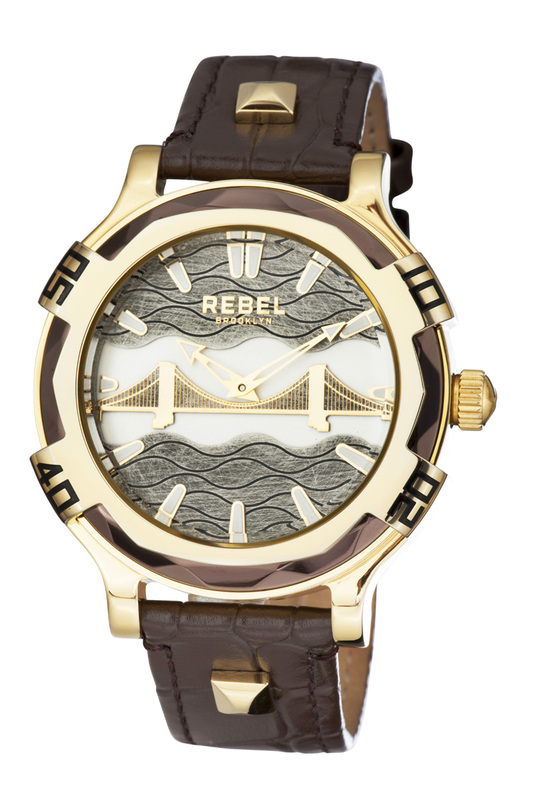 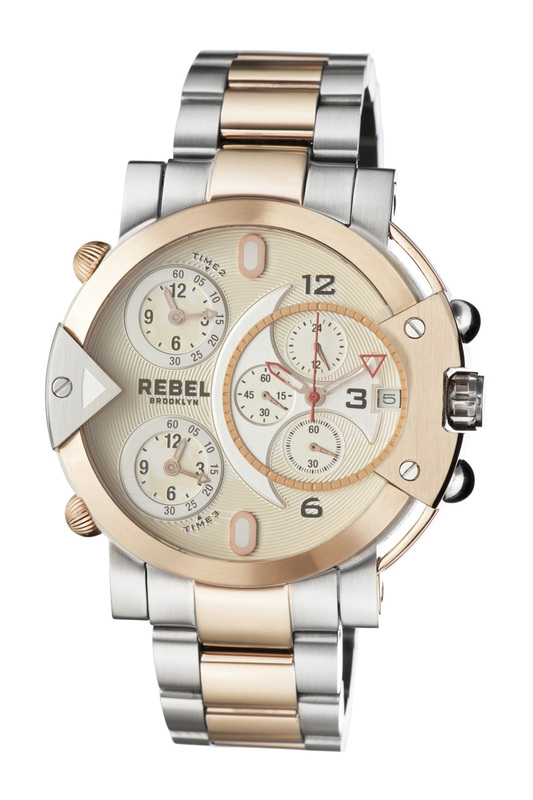 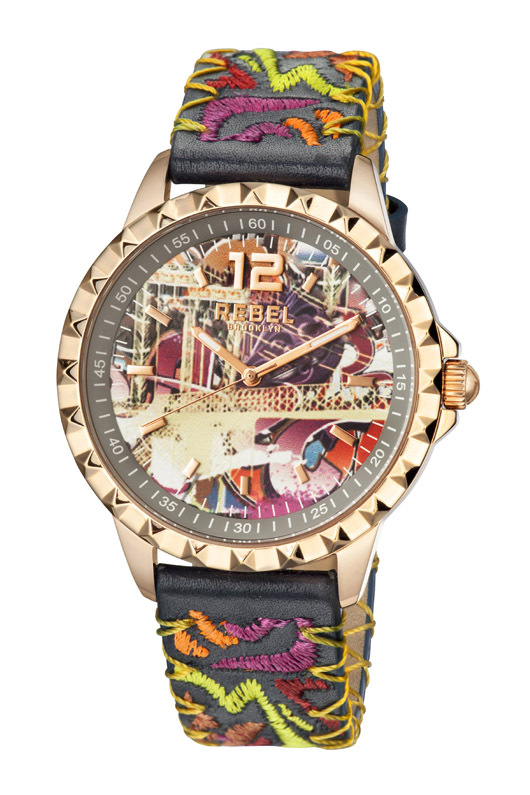 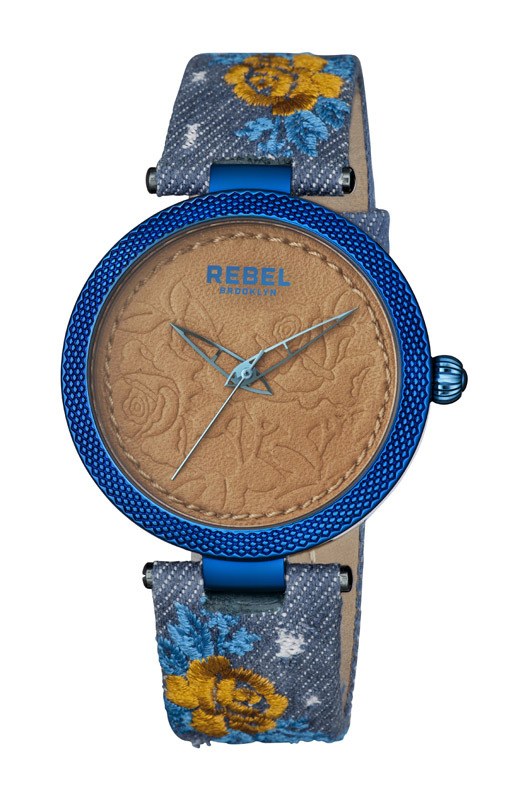 A stainless steel, IP rose gold, or IP yellow gold case complements the beautiful enameled bezel and comes with two interchangeable, color coordinated premium leather straps. 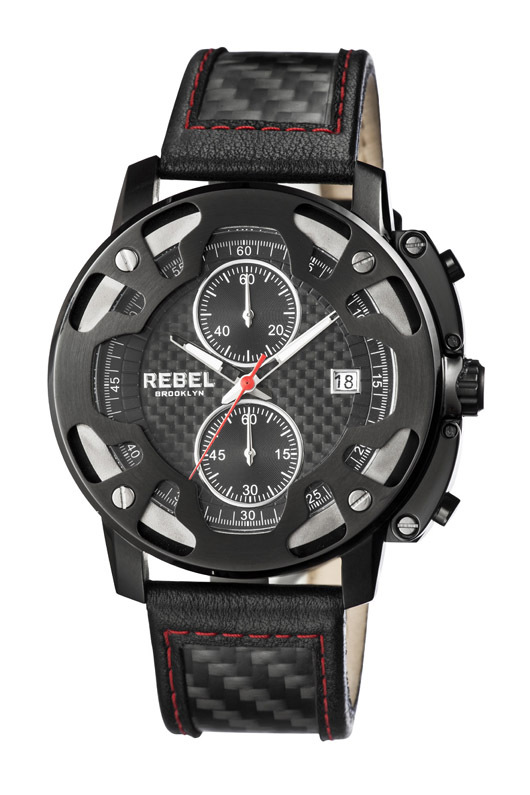 This exceptional timepiece is powered by a precision Swiss made Ronda 1069 quartz movement and is water resistant to 165 feet. 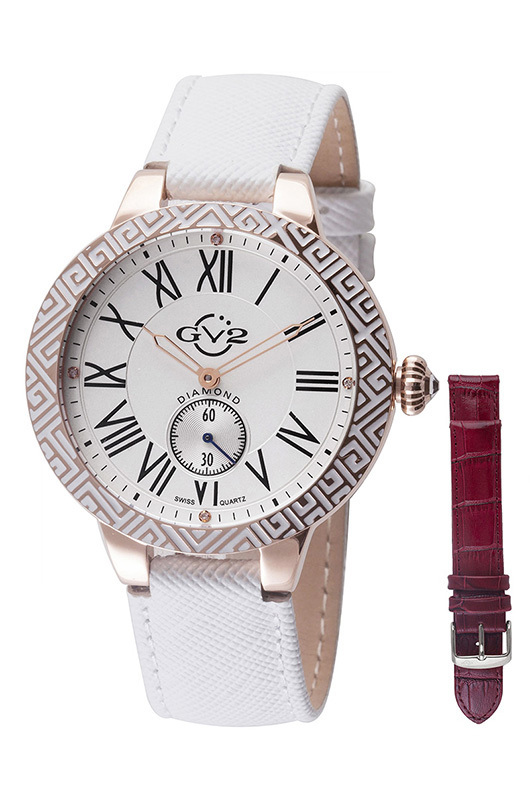 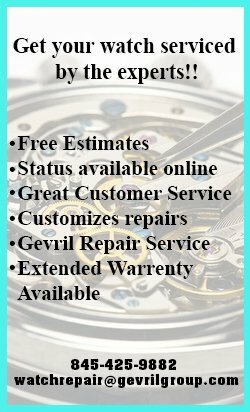 Like all GV2 timepieces, the Astor Enamel is protected by a two-year manufacturer’s warranty and comes in a beautiful presentation box. 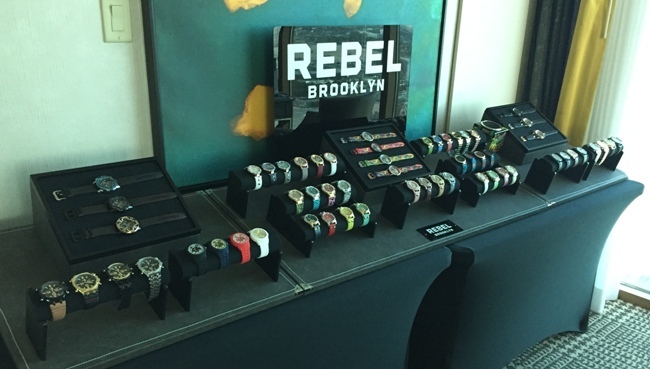 The Astor family has had a huge influence on New York City for generations. 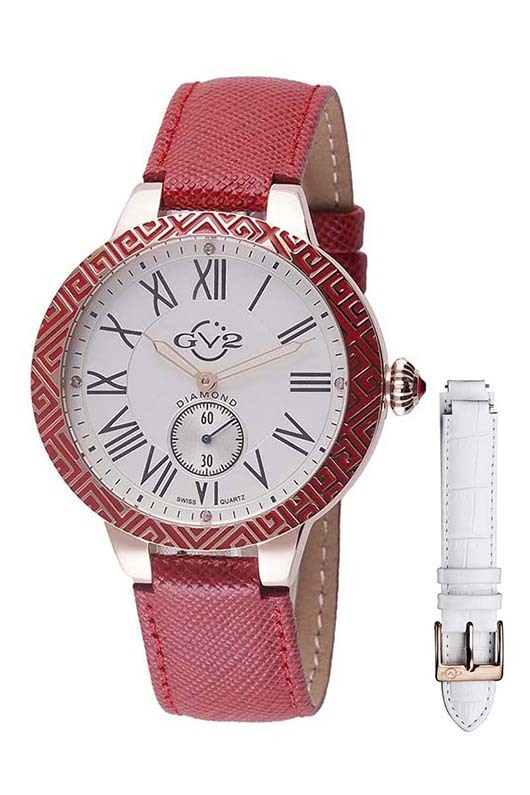 If you’re looking for something that could have a comparable influence on your wardrobe, you’ll want to see how the GV2 Astor Enamel looks like on your wrist. 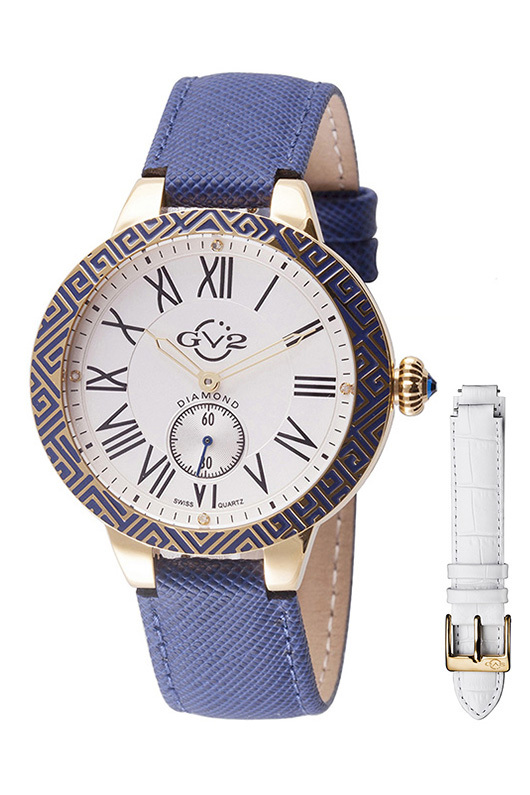 To acquire one of these superb limited edition timepieces, contact your authorized GV2 dealer immediately and ask to see the entire Astor Enamel Collection.